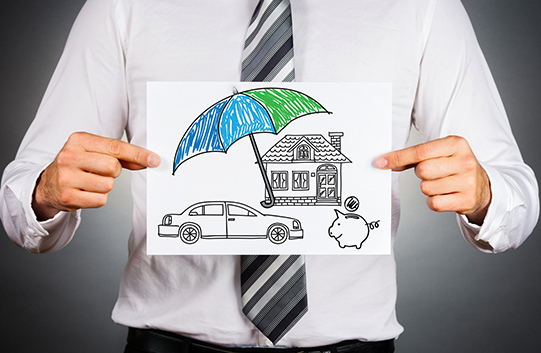 Getting cheaper auto and home insurance quotes from Allied may allow to save on policies. A part of the Nationwide Company, Allied Insurance offers insurance products to families, businesses, and individuals. Auto and Home Insurance are the key fields of operation of this organization, and it is considered to be a constituent of one of the largest insurers in the US, thus suggesting a good reputation and quality products designed to cover various aspects of life. The company offers interesting and unusual discounts, some of which are difficult to find in plans offered by other companies. Auto Insurance. The wide range of packages offered enables you to build your own policy in accordance with your current needs. Comprehensive/collision coverage, underinsured/uninsured motorists, liabilities, med expenses, etc. – these are the basic constituents of an auto policy. As extra features, you can choose such rewards as roadside assistance, accident forgiveness, good-as-new, and deductible saving options. Maintaining a good driving record makes you eligible for these rewards, so try to avoid tickers and accidents to keep your premiums low. There are other discounts, including a new vehicle discount, accident-free discount, etc. Also, there are the so-called Allied Extra discounts which are offered to you in case of bundling home and Auto Insurance. They include emergency lockout, airbag replacement, accidental death benefit, and more. Home Insurance. The homeowner’s policy enables him to cover property damage (smoke damage, fires, hails, theft, freezing, etc. ), liability (applicable to various injuries, property damage, med expenses, etc. ), and extras such as debris removal, tree replacement, forgery coverage, second home coverage, additional living expenses, and more. Special discounts are available to those living in gated communities, in houses with updated heating, roofing, electrical and plumbing, and much more. There is even bicycle coverage! Renter’s Insurance. This policy is designed to cover people and property that is located within the apartment you rent. There are two major aspects of Renter’s Insurance: liability coverage and property coverage. The former applies to cases when someone gets hurt while staying at your place, while the latter is about getting a reimbursement for damaged possessions. Renters. Although the dwelling you rent is usually covered by its owner, you may happen to need coverage for the things you keep in a rented apartment or house. Besides property protection, there are liability options, med expenses, special property coverage (applicable to items of high value, such as collectibles, gems, equipment, etc. ), earthquake coverage, sump overflow, water backup, etc. You can adjust your deductibles, so this plan is also characterized by flexibility. Renting a place to live at brings even more responsibility, so this kind of insurance is recommended to anyone staying at someone else’s place. Just like in other Ameriprise products, discounts may apply. Condominium policy. Just like in the case of Renter’s Insurance, you are not supposed to insure the apartment you live in, but it’s up to you to get coverage for your possessions and other things such as improvements, fixtures, and alterations. Standard damage sources, including theft, smoke, freezing, fire, etc. are also covered. Valuables Ins. Your collectibles, valuables, furs, silverware, etc. can also be protected under the special Allied Inland Marine option. Stamp collections, guns, musical instruments, tools, and other things also fall into this category. Life coverage. Allied offers different Life Insurance options which may vary in coverage options, the period within which it remains valid, and other features. Getting a policy of this kind enables its holder to provide his/her beneficiary with resources to be used when the breadwinner passes away. Motorcycle Ins. Using the Allied services, you can cover your motorcycle, liabilities related to using your bike, and accessories of various kinds. Collision, underinsured/uninsured motorists, guest passenger, roadside assistance, custom equipment coverage – the list of options is extensive. Boat policies. From roadside assistance to fishing equipment, Allied has your boating experience covered. The standard package features med coverage, liabilities, and underinsured/uninsured boaters. RV coverage. Insuring an RV with Allied means covering your special home with a policy that implies towing, liability, comprehensive, custom equipment, collision coverage, and many other extras such as the rare options of awning coverage and vacation liability. ATV policy. The basic aspects such as liability and collision are combined with options like safety apparel, OEM parts and custom equipment coverage to ensure you get all aspects of having an ATV taken care of. Snowmobile protection. This policy shares the same options with ATV Insurance. Comprehensive/collision, med expenses, OEM coverage, and other features are also applicable to Snowmobile Insurance. Umbrella ins. This policy is designed to extend the liability coverage that may be exceeded by standard lawsuits. Supposed to be additional coverage, umbrella policies can go beyond basic liability coverage. Identity Theft ins. The policy in question can help you get your personal data protected in order to prevent your card details and other information from being used by someone to whom they do not belong. So, the most affordable quotes from Allied or Safeway quotes on such main types as auto or home policies, are the most wanted for consumers. Try them now to be a part of successfull ins company and get more savings through online comparison service.